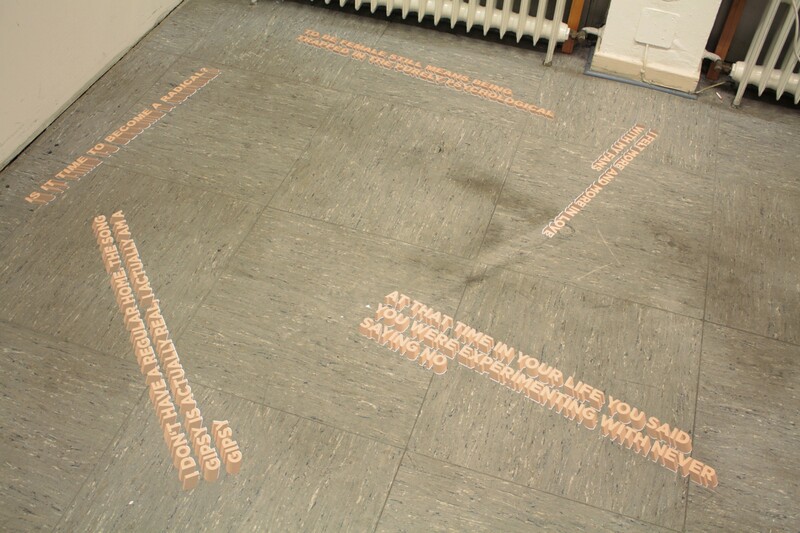 In this work the spectator is supposed to move around different quotes by different women stuck to the floor. 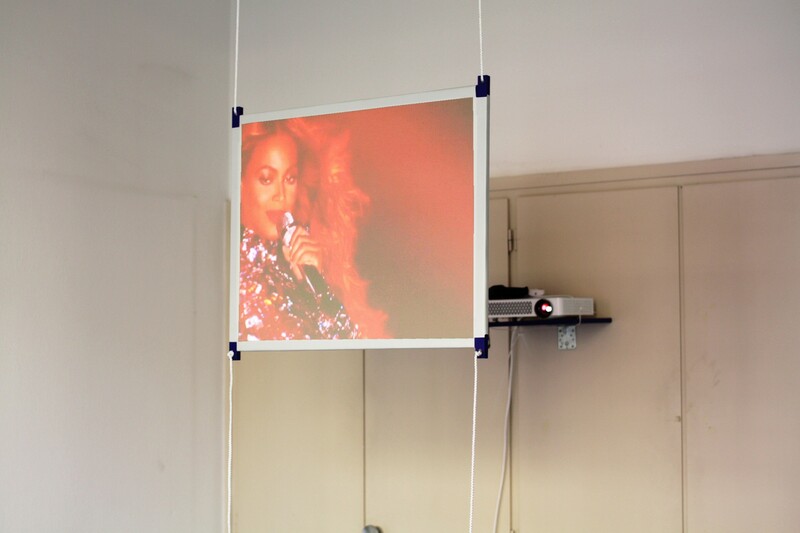 Beside that a video is projected showing Beyoncé Knowles performing in slow motion. All quotes circle around an uncanny fascination that I have about female popstars and the perfection in their performance. 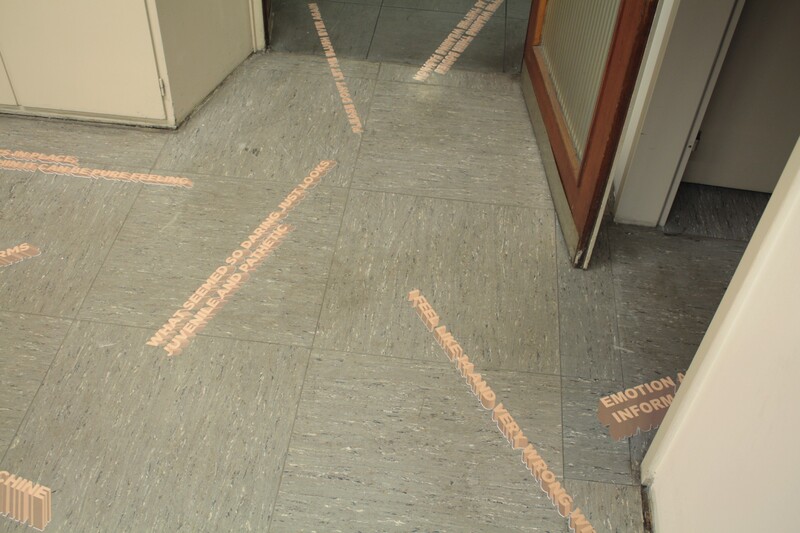 Feminitiy and the exposure to it in mainstream culture are brought up in a room installation where the spectator automatically becomes part of it. 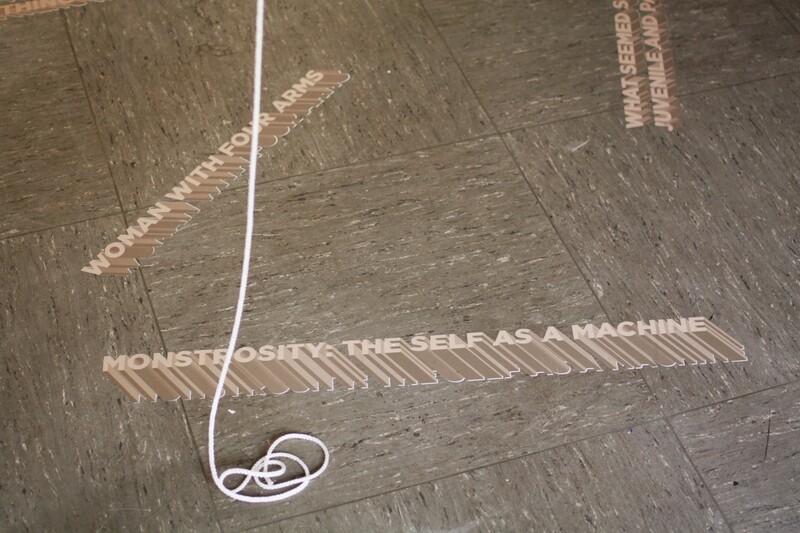 Moving from quote to quote while being beamed at by Beyoncé.